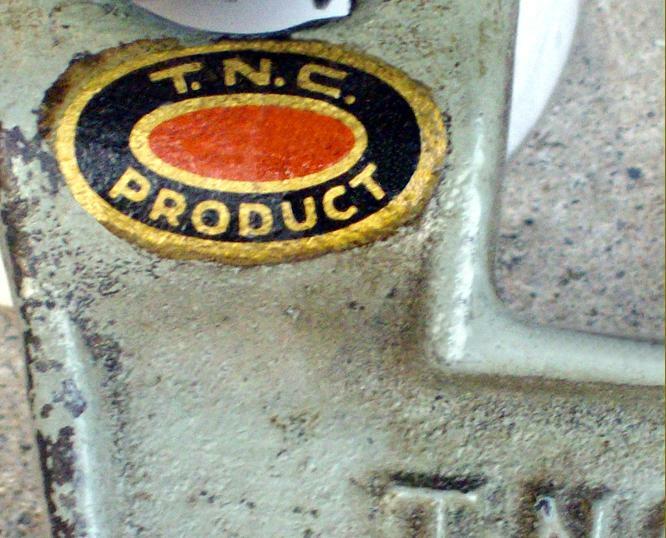 Although the background to the T.N.C. Company is uncertain (though they were known as makers of engineering tools) their lathe was either imported from the United Kingdom or built under licence as a replica of the Super Adept. It was sold in Australia before and after W.W.2 with machines marketed through McPhersons, a major supplier to industry but who also catered to the "home workshop" customer. Their 1937 catalogue listed the No. 1 and No. 2 shapers and just the Super Adept lathe, priced with a simple slide tailstock barrel at £2 : 5s : 0d or, with a screw-feed arrangement, £2 : 7s : 6d. 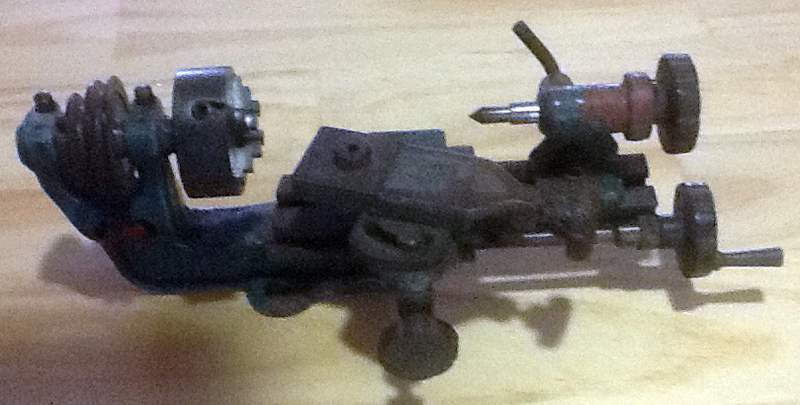 Although a countershaft was not shown a foot-motor was - at £1 : 15s : 0d. In the 1949 edition, the McPhersons catalogue did not list any Adept machines - though much other British equipment was included (Moore &Wright, Eclipse, etc) - but as it also lacked any products for amateurs (such as their own 3.5" bar-bed lathe) it may have been for industry only. By 1955 the Super Adept lathe and both sizes of shapers were back, though the foot-motor had disappeared and just one 3-jaw chuck was shown. One T.N.C.t has been found with a quite different bed - braced at the back with ribs - and a top slide with the curved holding-down slot at the front instead of at the back. As no such machine has ever been found in the UK, it does seem certain that the T.N.C. was an Australian-mde item. If any reader has copies of T.N.C. advertising literature the writer would be pleased to hear from you. It is just possible that the lathe was an early product of Hercus, with the name acting as a suitable disguise. Certainly, as yet, no advertising literature has been discovered for the machine and it may well have been distributed around local tool dealers "by hand" - as a convenient way of starting off what was to become a very successful machine-tool manufacturing business. Fred Portass also produced a modified Adept for the London department store Gamages, this being identical to the ordinary version save for cosmetic changes to the bed casting. . Almost identical to the English "Super Adept" - the Australian-made T.N.C. A longer tapered finger-grip on the leadscrew handwheel replaced the rather more elegant and curvaceous affair on the English version of the lathe. In comparison with the rest of the lathe the compound slide rest was relatively large - a fact emphasised in this overhead view. 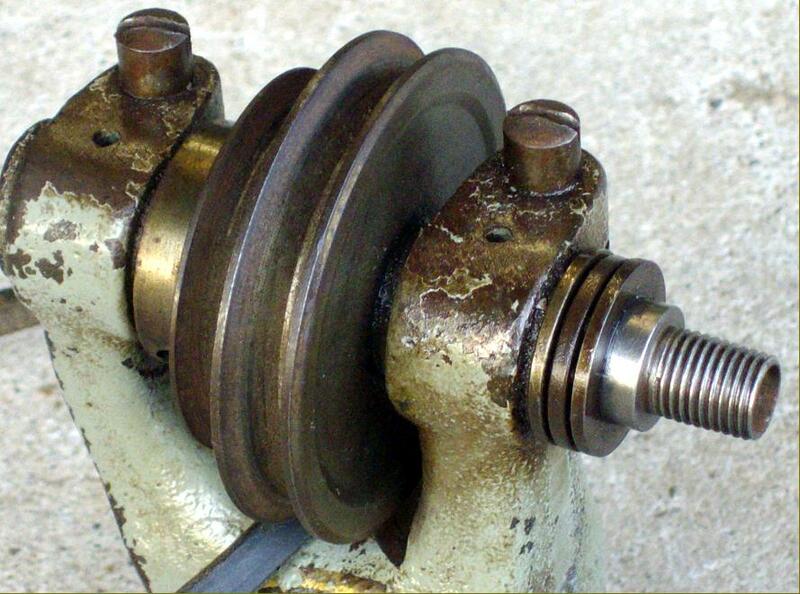 Fitted with simple, bronze bushes in split housings adjustable over a small range (though see below), the headstock held a spindle that carried a 3/8" British Standard Fine (BSF) thread and a tiny taper, much smaller than a No. 0 Morse. The lathes could be driven by either a two-speed human-powered "foot-motor" and flywheel assembly, or from a small electric motor though a simple bench-mounted 3-speed countershaft. Original or modified? This headstock has the spindle running not in bronze bushes but direct in the cast iron of the headstock. The shaft is bored clear through, equipped with a 3/8 x 24 t.p.i. (UNF) thread and with a 3-piece thrust washer assembly between the chuck abutment collar and the headstock casting. The grey paint is original.